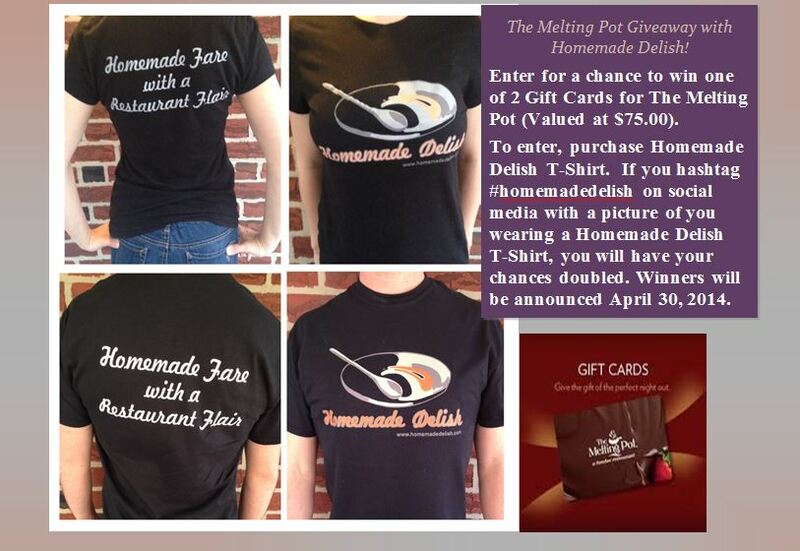 Homemade Delish and The Melting Pot Giveaway! Here is another great giveaway. Homemade Delish partnered up with The Melting Pot. See below for more information. If interested in purchasing a shirt or for more information please email homemadedelish@gmail.com. Thanks again for all the love and support xo. Previous Post Homemade Delish and Le Creuset Giveaway! I already have too many t-shirts but I just spent ten minutes drooling over the Melting Pot menu! Yum!! !